We hope all of you had an amazing 2015. Here at Drop the Dice, we can't wait to see what the New Year will bring. Hopefully this episode is a sign of things to come. 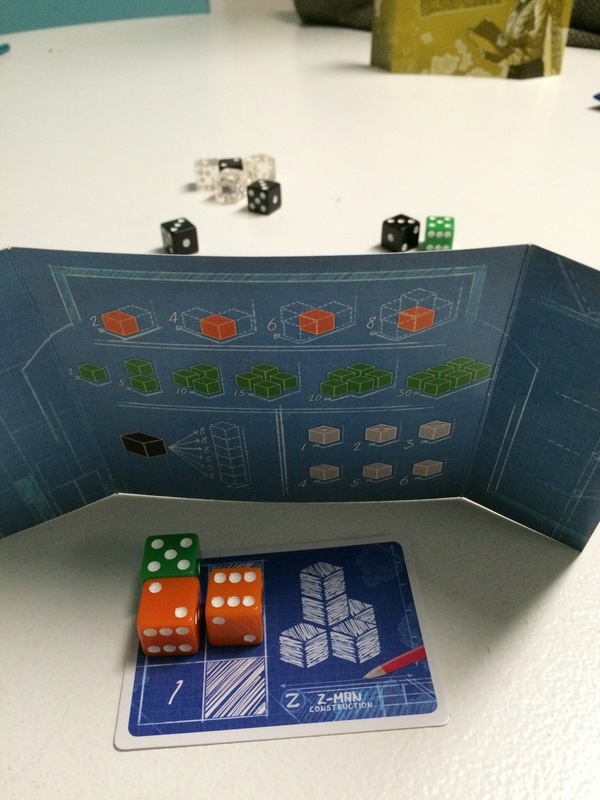 We were lucky enough to have an indie designer contact us about reviewing their game "The Martian Investigations." So of course we jumped at the opportunity and had a blast taking a trek through this Martian landscape that Robin David has made. We feel very honored to have been able to play this and review someones piece of work that they put so much effort in to creating. There is a link below where you can see the rest of Robin's work as well as purchase the PDFs for yourself. Also included in the intro is a discussion of Rico's short layover in Phoenix which of course resulted in the entire team heading to the airport to play some games with my Chief Audio Engineer. The Drop the Dice boys discuss the merits of starting a board game club and the abundance of time travel in 2015. Then the crew goes in depth into what games work well at 2 and what games work well at 6 and above. Hope you enjoy the miracle audio work done by Rico in this one. Sorry, but I was incredibly sick during this recording. Rico is back from holiday and there is much to discuss. First we have a lengthy discussion catching up with what the boys have been playing. Then we get into a heated discussion of games that we love that others don't, as well as games everyone else loves but we don't. There's plenty of dissension in the ranks this time around as the Drop the Dice boys each fight for their favorite games. Except Coup. No one likes Coup. A bit of a time warp here as we prepare for Rico to go on holiday following his upcoming nuptials(word of the year). This is of course makes no sense since Rico has already gone on holiday and returned. In fact we even recorded a short bit with Rico on his way to Italy which you all might have heard a few weeks ago. No matter, in this episode we examine the best games fit for travel. If you have any suggestions for travel games, we'd love to hear them. Email us below. Hey everybody this is a very special episode recorded in the wee hours of the morning after a night of heavy drinking and cardboard. The entire Drop the Dice crew got together in celebration of Rico's upcoming nuptials(a word that has never been spoken more often than on this podcast) and the result was an amazing night that we all wanted to share with you out there. So here is a quick snippet from that night, and a whole lot of pictures. P.S. I apologize for the quality on this one, my Chief Audio Engineer is on holiday. Have you ever asked yourself: What games are in the top ten of all time for the Drop the Dice boys? Well now is the time to find out, but you'll have to pay attention as the Drop the Dice crew are strapped for time in this episode. Then the guys take on some of their favorite mechanics and the best examples of each. Stay tuned I will update this soon with the full lists for each. Also I included a sneak peek at a very special post hopefully coming this week in which we celebrate Rico's very short but very welcome return to game night. After the mammoth endeavor of the 2015 review, the Drop the Dice crew takes on the new Warhammer 40k game from Fantasy Flight, Forbidden Stars. Attentive listeners will know that Rico has this in his number one slot for the year. Do the other two feel the same? Listen and find out. Also fans of Alfie... This is the episode for you. Then we take a quick trip through some of our other favorite area control... or skirmish... its one of those.. we never really decide. Enjoy. The Drop the Dice crew has decided take on the task of reviewing the first half of 2015. Such a mammoth endeavor could not be contained in a one small podcast. So here is the first in a two parter. We hope you enjoy our discussions of Rico's 10x10, how disappointment is a luxury we don't have, and some crazy ramblings from Alfie. No way Lost could've worked as a ten episode miniseries. Our newest episode and first official use of the new moniker brings us an emotional Drop the Dice crew. A short discussion on some recent life changing events lead us into a discussion of how to keep board game night going with one member across the country. This also marks a new feature in which we offer a review of a game(this week it's Madeira and Specter Ops)and discuss the mechanics of making it work over Skype. With plenty of digressions and a healthy dose of wit we hope you're enjoying the Drop the Dice Podcast. Our first podcast is here and we have much to cover. Some growing pains to be sure as we welcome Alfie to the fray and jump right into the fire. We try to keep the chaos to a minimum as we discuss what we've been playing, do a quick discussion on the euro farmer himself Mr. Rosenberg and then finish with what we wanna play what we wanna buy and what confuses the hell out of us. Liquor is involved.